The Finnish Future Internet programme was running from April 2008 to April 2012. The goal of the programme was to bring together the key research resources to develop future Internet networking technologies and to create new global ICT based business ecosystems. The programme was a part of the ICT cluster of the Finnish Strategic Centres for Science, Technology and Innovation (ICT SHOK) coodinated by TIVIT Oy. Tivit Future Internet pre-conference @ 3rd European Summit on the Future Internet, 30.5.2012, Dipoli, Espoo. "The Finnish Future Internet Program: The Why, How, and So What?" How did it come to pass that Future Internet Program became the first SHOK program to start? How did I - an unlikely person - get mixed up with its preparation? Why did it feel a good idea at the time, and and even better idea now? Where should we go next? The keynote will give my personal view on these matters. 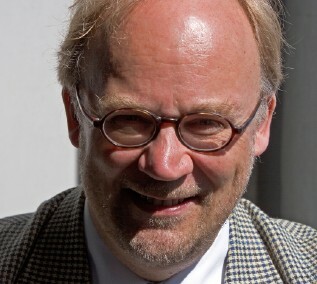 Chief Strategy Officer of EIT ICT Labs Martti Mäntylä is also a Professor at Aalto University. His research interests include future-generation communication and computing, where his main focus is on user-centered methods for new digital service design, and also mobile digital economy. >> See full seminar programme on the seminar page!